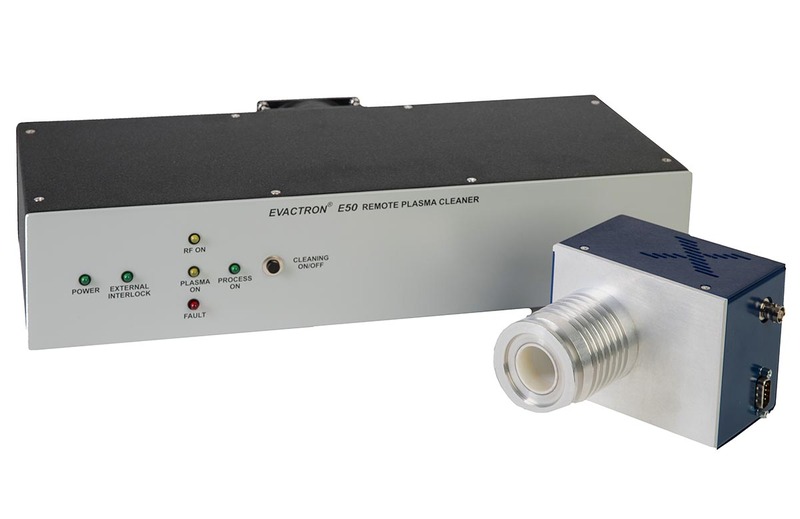 The Evactron E50 De-Contaminators are compact, high performance yet simplified plasma cleaners for Electron and Ion Beam Instruments such as SEMs, TEMs, and FIBs. The E50 delivers high power cleaning for superior resolution and imaging plus improved detector and probe sensitivity that are compromised by contamination. The compact design of the Evactron E50 Plasma Radical Source makes it a versatile solution for either SEM/FIB chambers, load locks, or sample prep chambers. The Evactron E50 Plasma Cleaners offer fast, effective, and powerful cleaning over a wide range of pressures enabling high quality, artifact free images and increased efficiency of sample analysis. The compact design of the Evactron E-Series Plasma Radical Source makes it a versatile solution for either SEM/FIB chambers, load locks, or sample prep chambers. 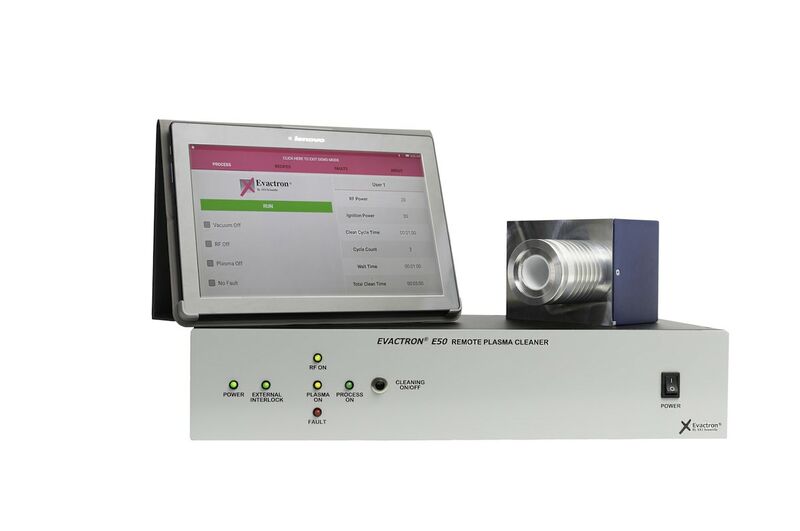 The Evactron E-Series Plasma Cleaners offer fast, effective, and gentle cleaning over a wide range of pressures enabling high quality, artifact free images and increased efficiency of sample analysis. The Evactron E50 Plasma De-Contaminator was designed to remove hydrocarbon contamination from high vacuum chambers such as SEMs and FIBs. Its compact design fits most models of SEM and FIB chambers and loadlocks and comes in verti- cal and horizontal configurations. The Evactron E50-OEM Plasma De-Contaminator was designed for OEM integration for SEM, FIB, high vacuum, and other analytical instruments. This simplified Evactron Plasma Radical Source (PRS) has a small footprint and utilizes air plasma afterglow to reduce hydrocarbon con- tamination, delivering results quickly and efficiently.